A primary function of gutters is to catch rain from the roof and drain it away from the foundation. Without gutters, pools can form causing yards to erode and or it can seep into the foundation of your home causing water damage and mold overtime. If properly installed, gutters and downspouts will have taken into consider the roof pitch, characteristics and size of lawn, parking lot or drive, as well as the architecture and layout of the entire property. While many aspects of a property or business are focal points of attention, well-installed and efficient gutters attempt to stay subtle, unnoticed, yet remain a functional structure from both an aesthetic as well as a maintenance perspective. Gutters and downspouts come in several shapes, materials, and colors. Gutters can be seamless, sectional, or come with or without leaf guards. Some gutters are made from aluminum, others from galvanized steel. Based on the substance, some gutters might be painted after installation, or gutters and downspouts may come in pre-fabricated colors. Another great option for gutters are gutter screens. By adding screens to your gutters, you are less likely to encounter clogged downspouts caused by leaves, debris, and nests from birds and other animals. 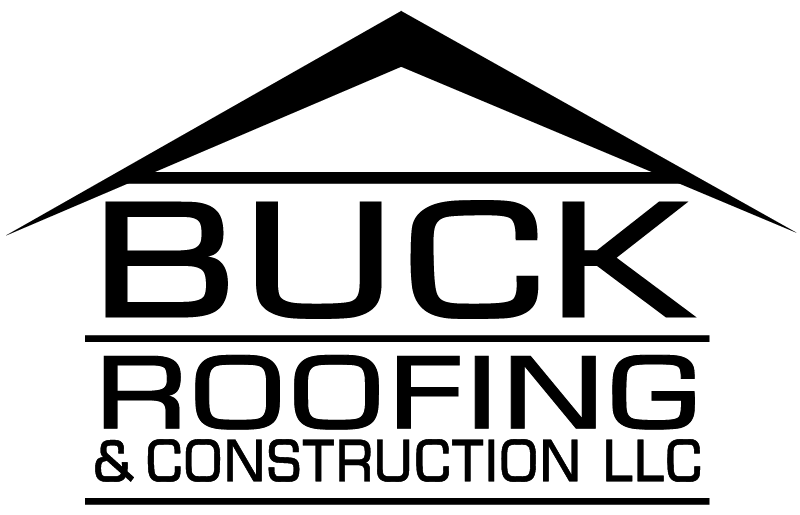 Let Buck Roofing assist you with your gutter needs. Properly maintained gutters add to the worth of the home or business, and curb appeal of a property. In addition to curb appeal, gutters also aid in preventing erosion, water damage, cracked foundations, and dry rot. By maintaining the upkeep of your gutters, you will lessen the chance for fascia damage and wood rot to the exterior of your home. The installation of properly done gutters and downspouts is a property investment well worth taking. If you’re thinking about installing gutters on your home, please give us a call!